At yesterday's rally for Coogan's, Congressman Espaillat pointed up Broadway and announced, "My next stop is Galicia restaurant." After 30 years in business, he explained, they're being denied a lease renewal by the Edelsteins of Edel Family Management, owners of several buildings in the area. "I spoke to the Edelsteins," Espaillat said, "and they seem to be over the top and heavy handed." After the rally, I went for lunch at Galicia. The place is warm and welcoming--and busy. Customers converse from table to table. The counter fills up and empties, and then fills again. The food is good. So is the cafe con leche. 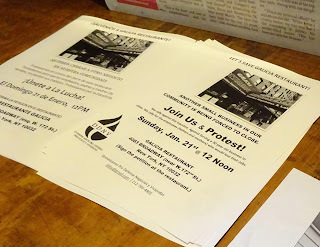 On my table I had the flyer announcing a rally to save Galicia, January 21 at 12:00 noon. A woman stopped to read it. She said, "I'll be there. Just because this neighborhood is changing, everybody has to get out? No. We've been here. This place is part of our community." 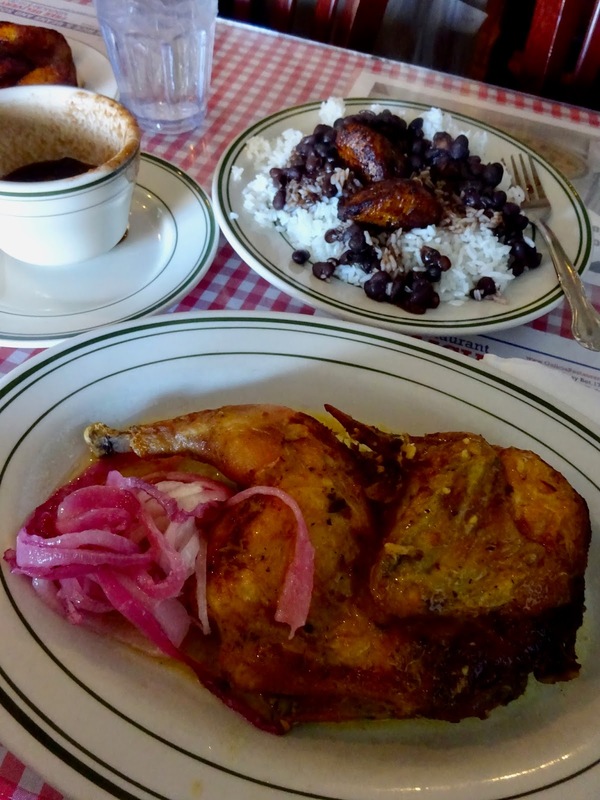 She went on to her table and I enjoyed my chicken, beans and rice, and plantains. I got into a conversation with another woman, Mrs. Doris Giordano, who was born and raised in Washington Heights. She rescues cats and has been coming to Galicia since it opened. She showed me a handful of family photographs--her father with his friends on the stoop, her mother on the rooftop they called Tar Beach. "Tiny Tim was born in Washington Heights," she told me. "Frankie Lymon and the Teenagers came from here. Lewis Lymon and the Teenchords, too. George Raft was from here. My grandmother had a crush on him. They went to school together." "It's heartbreaking," she said about the demise of small businesses in the neighborhood. "And it's all to do with real estate and landlords." 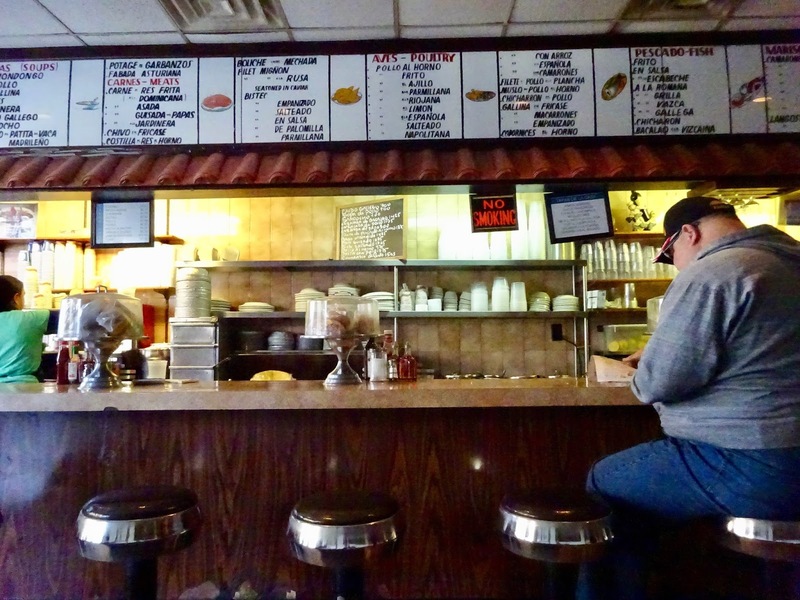 We talked about the closure of the Reme diner and the high-rent blight that is sweeping upper Broadway. "It's like a ghost town. To see stores that've been here since I was a kid, all gone. It's heartbreaking." She doesn't want to see Galicia go. "Everybody's like family here. I'm not Spanish, but I've been eating here for so long. People say hello. It's safe. You get homemade meals. 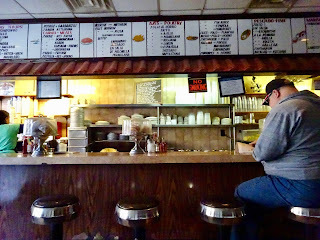 They have the best coffee and it only costs a dollar-fifty." A rent-controlled tenant on a fixed income, she can't afford Starbucks. "They're building upscale gourmet places," she said. "The bodega where I got my Italian bread? It's gone and now they're upscale. They cater to the wealthy now. The rent is outrageous all over New York City and people are being relocated. They're moving out all the people who were born and raised here." We talked about the upcoming rally and the promises of the politicians. Mrs. Giordano shook her head. She said, "I'm not trusting the politicians anymore. They tell you one thing, but nothing's being done. They talk the talk, but they don't walk the walk." Want to help? Sign the petition to save Galicia. 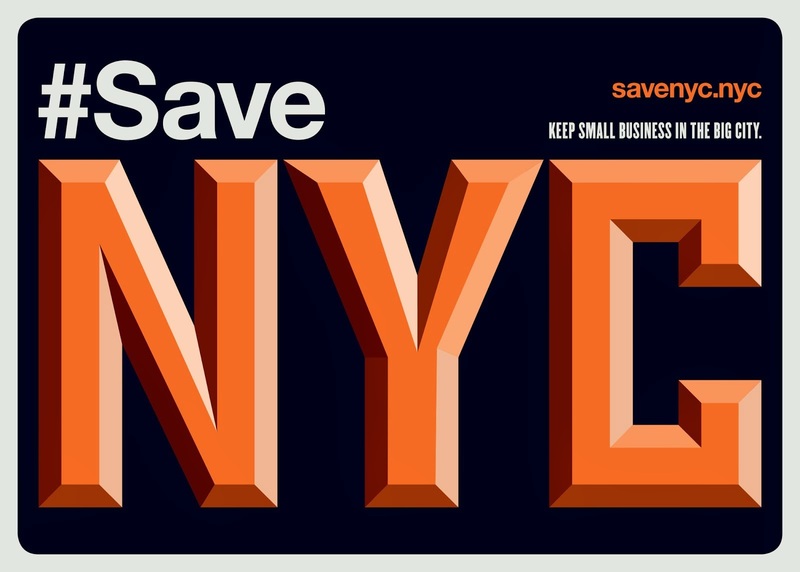 And go to the rally on Sunday, January 21, at 12:00 noon, 4083 Broadway near 172nd St. I was so pleased to see Doris’s name in this! I worked with her on cat-related stuff a few years ago, and she’s an incredibly sweet, caring person.